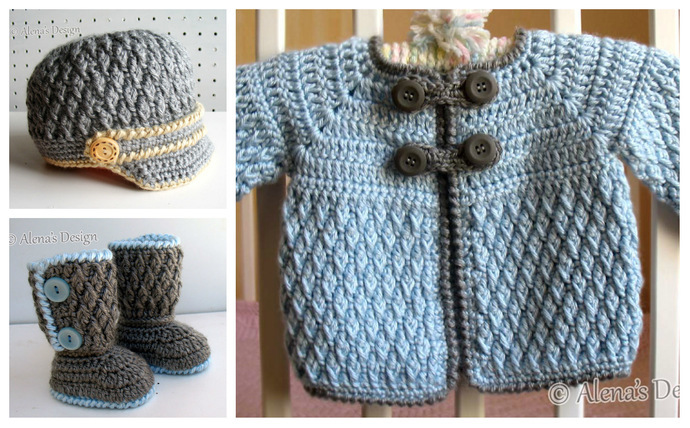 This Baby Diamond Set is a treasured garment for any baby. 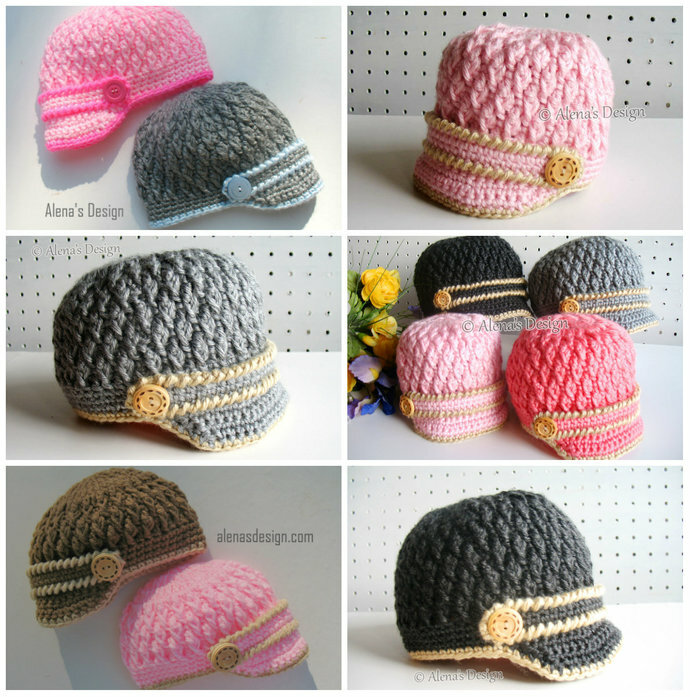 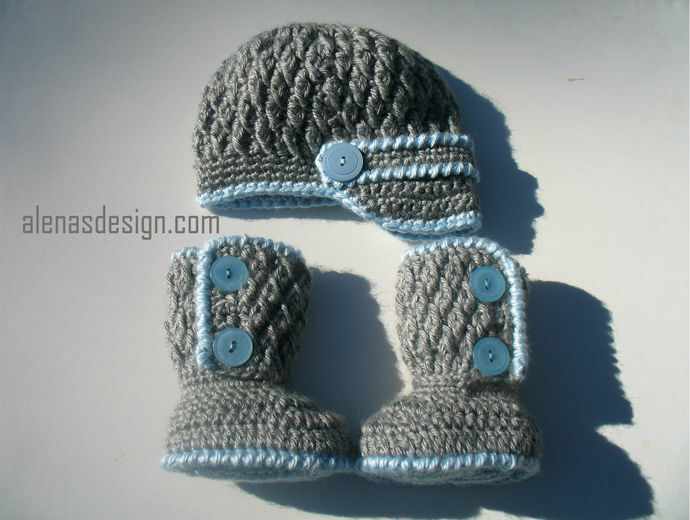 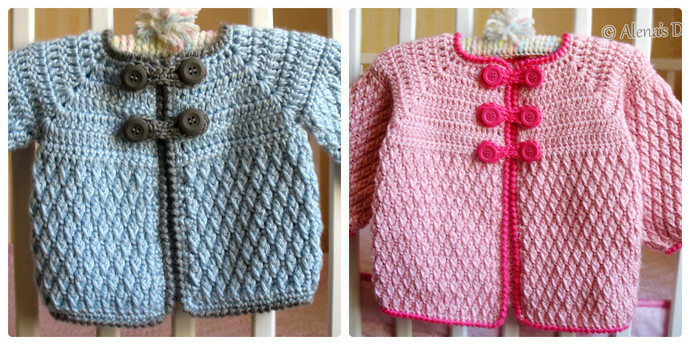 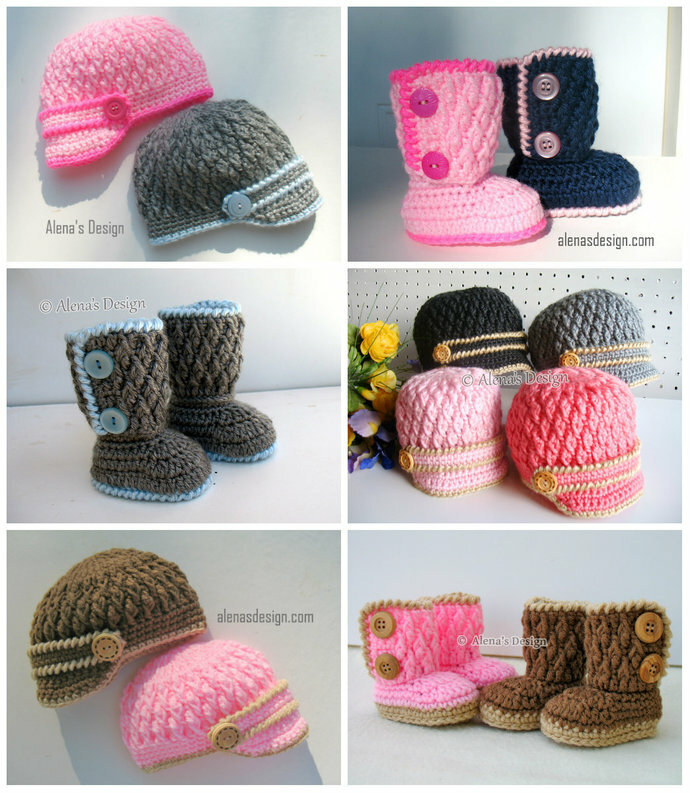 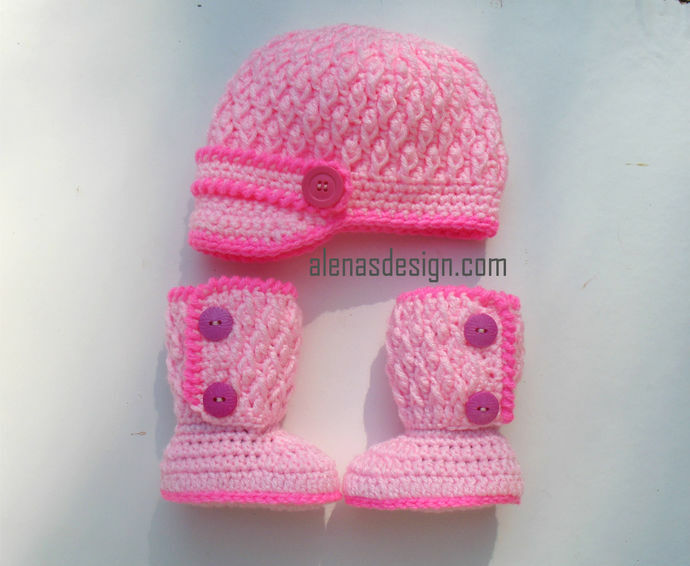 This pattern set is to make a Baby Visor Hat, Booties and Jacket. 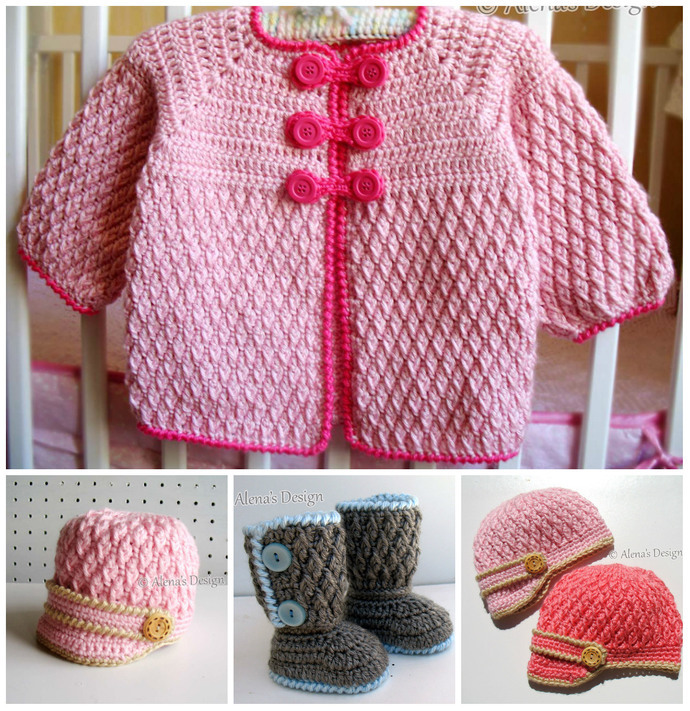 Finished Chest: 21 (23, 24, 26)”. 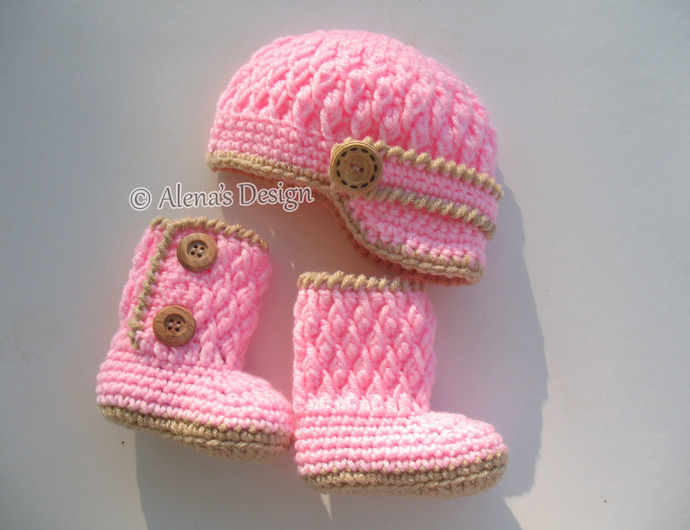 Finished Length: 9 (10, 12, 14)”.